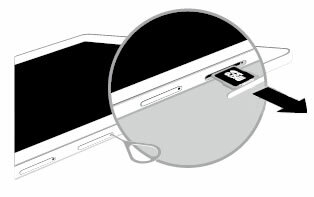 From the right edge of the device, locate the SD / Memory Card access tray (the second door from the left) and insert the provided key into the hole. Pull the tray out and remove the SD / Memory Card. Align the tray then gently press it into place.